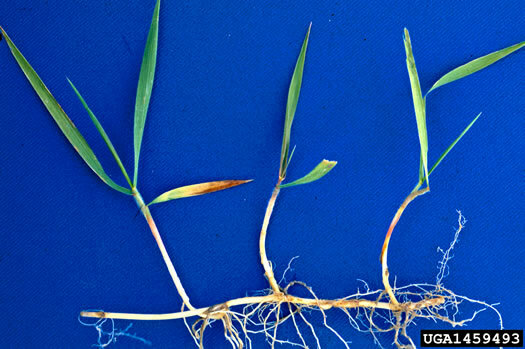 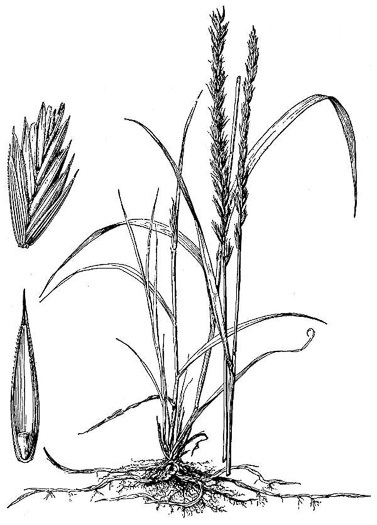 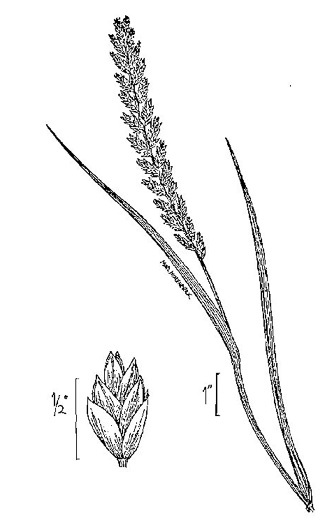 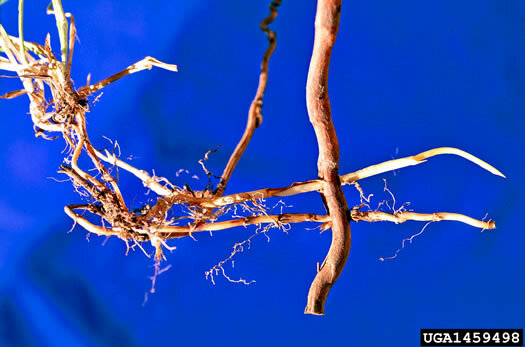 With yellowish creeping rhizomes, per Manual of the Grasses of the United States. 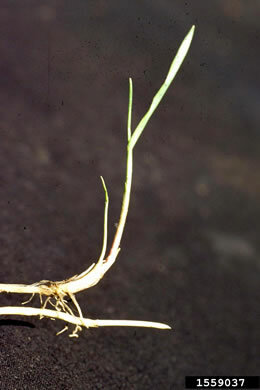 Dense rhizomatous perennial. 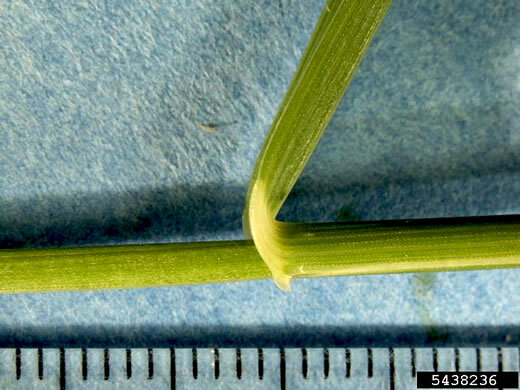 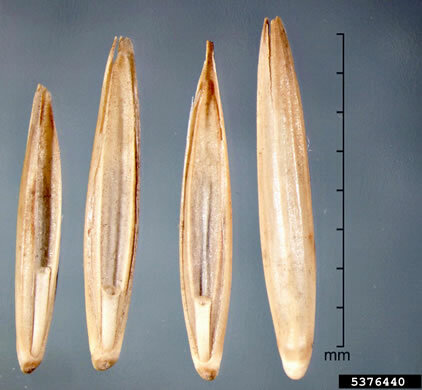 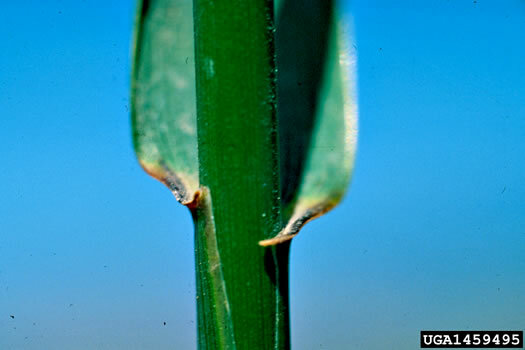 Blades to 3dm long, 3-16mm wide, per Vascular Flora of the Carolinas. 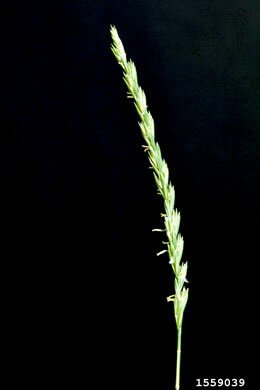 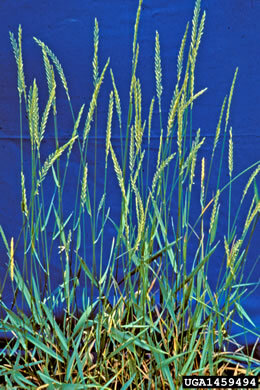 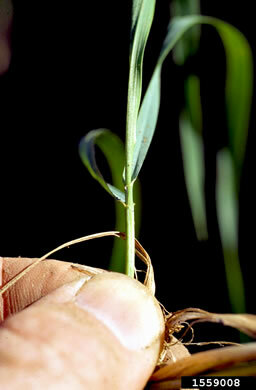 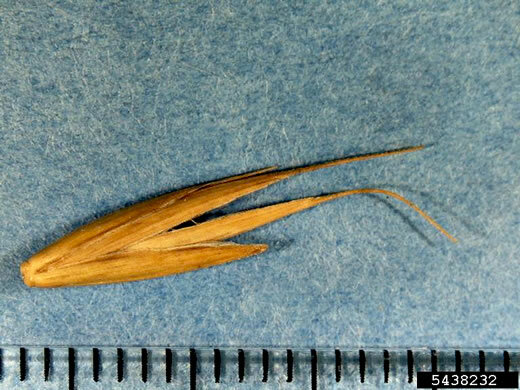 Spike 5-15cm long; spikelets mostly 4-6 flowered, 1-1.5cm long, per Manual of the Grasses of the United States. 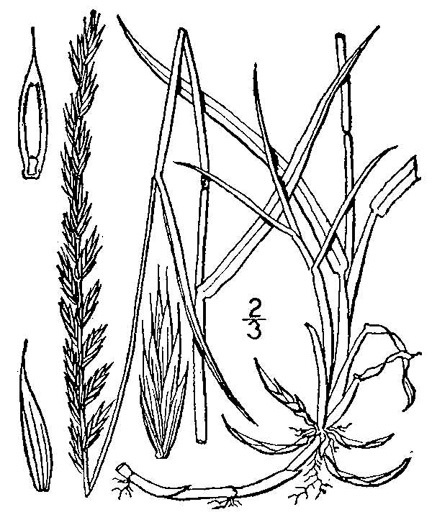 Nodes and internodes glabrous, per Vascular Flora of the Carolinas.